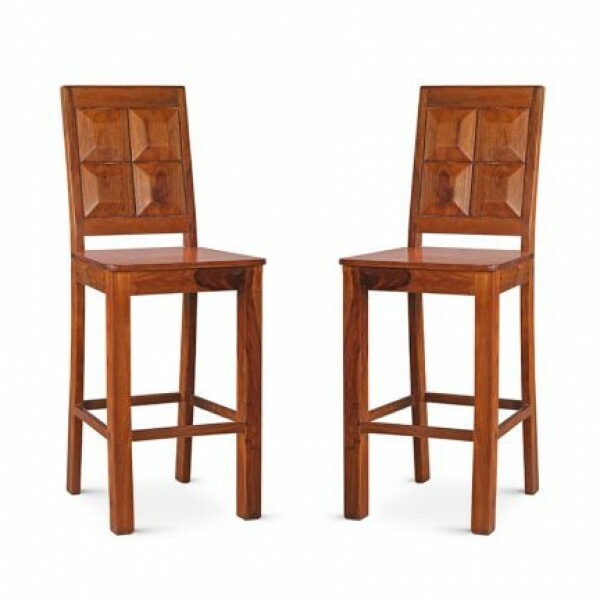 This bar stool of 2 set provides a contemporary style to your dinning room. Finished with oak wood, it has long lasting quality and polished surface which seems shinning and appealing to the eyes. 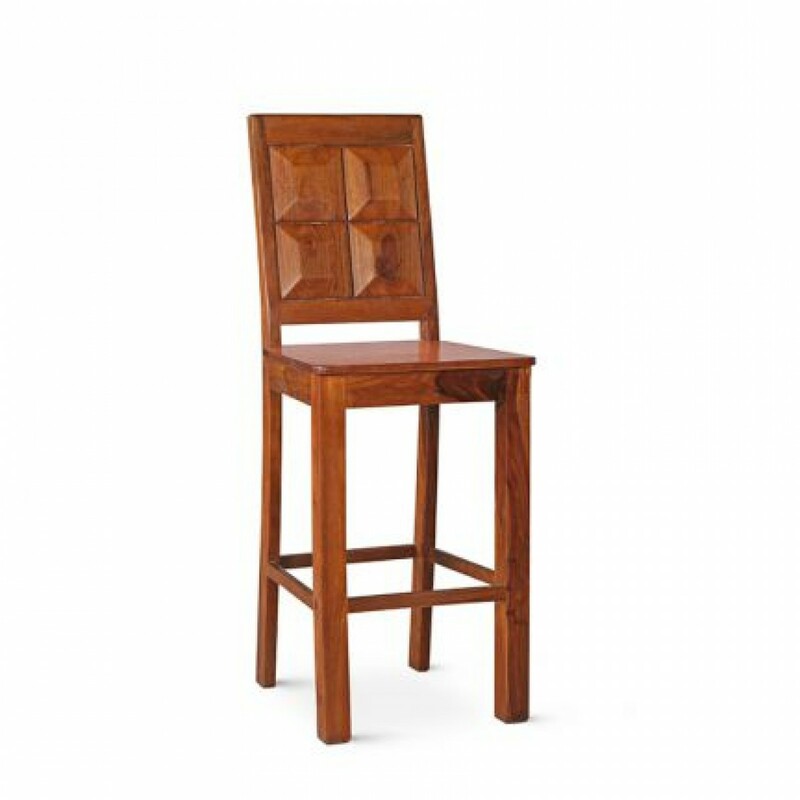 Wooden Carved out designs to on the wooden panel which ensures comfort to your back while sitting on this bar stool.